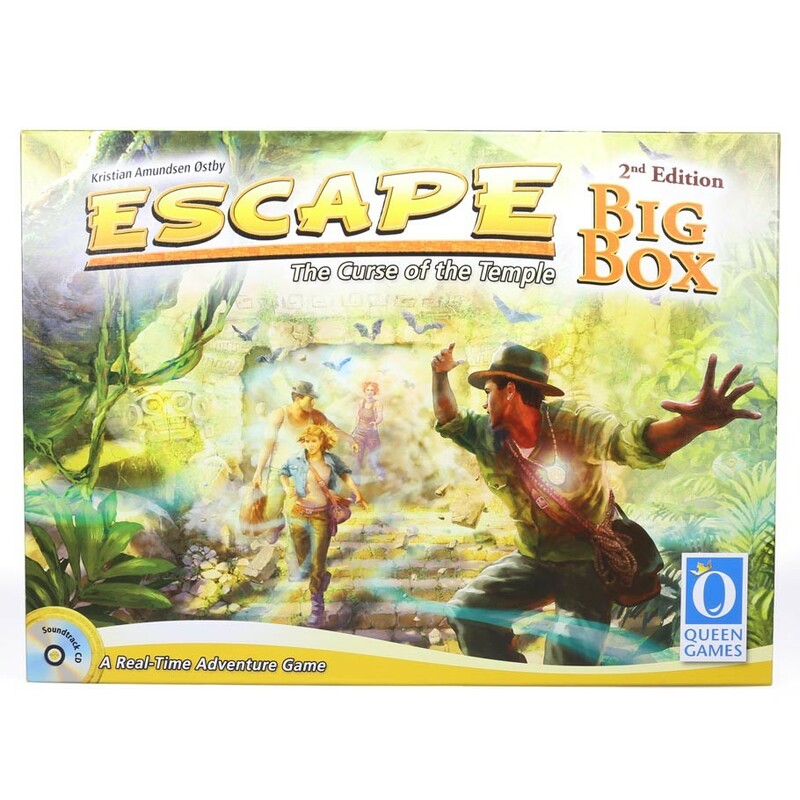 In Escape you are a team of adventurers looking for treasures of ancient civilizations, but the temple you are exploring has been cursed. You have to work together to break the curse before you are forever locked inside. The game comes with an atmospheric soundtrack that runs 10 minutes, which is the time you have to escape from the temple. Roll as fast as you can to find and activate the magic gems inside the temple and remove the curse. 10 Mini-­‐ Expansions (The Pit, Doomed, The Fountain, Quest Chambers, The Maze, New Characters, The Maya Calendar, Exchange Chamber, Totem Chamber, The Cursed Gems).